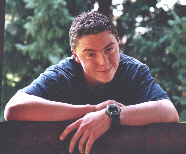 This page is for remembering at Dominic, that came on the 04 April 2001 through a scooter accident around the life. Would you want also so a page? I help you gladly at the same time, for also I divide such a fate. Karin Zilch.